Apple iPhone 5s vs Sony Xperia Z2 vs Samsung Galaxy S5: Which is better? Which is better: Apple iPhone 5s or Sony Xperia Z2 or Samsung Galaxy S5. we can say, Apple iPhone 5s, Sony Xperia Z2 and Samsung Galaxy S5 as giants of the Smartphone markets. They have the best and top of notch features that made them the greatest all round devices in the Smartphone business markets in the world. The minor differences in the specifications made them unique and it needs fair choices to select “Which is Better?”, among the rivalry between Apple iPhone 5s vs Sony Xperia Z2 vs Samsung Galaxy S5. we have seen already how samsung criticised iPhone 5s with it’s new advertisement on samsung galaxy s5 – “Don’t be a wall hugger”, these giants are always showing their best in the mobile market with their flagship smartphones every year, and Sony already launched it’s Z2 smartphone, and we came to know from a leak that sony is going to launch sony xperia Z3 soon, and still there are many rumours regarding the Apple iPhone 6 and we need to wait upto August to get a clear information regarding the Apple iPhone 6, but every phone these giants release will have their own way of attractive features that grabs the user attention. The comparative list between Apple iPhone 5s vs Sony Xperia Z2 vs Samsung Galaxy S5 has been posted in the below table for your better understanding. Make a comparision and take fair decision, which is best and opts for you. 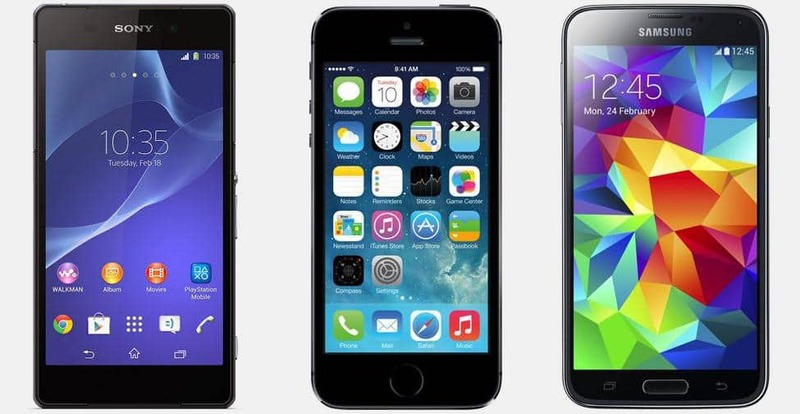 Compare Apple iPhone 5s vs Sony Xperia Z2 vs Samsung Galaxy S5 : Which is best? so, what do you think , which is better ?